Whether you’re planning a small intimate wedding in Te Anau or need to include a cast of hundreds, our beautifully crafted wedding menus will make it truly memorable. Our Executive Chef has designed an innovative menu selection that offers enticing choices across the spectrum of food styles. All wedding cuisine is carefully prepared using the freshest ingredients. You’ll find old favourites presented alongside sophisticated new ones. Menus can be altered to suit specific national and cultural cuisines, vegetarians and guests with special dietary requirements. Sauces and accompaniments can be adjusted according to taste. Your own selection and additional courses are available at negotiated prices. 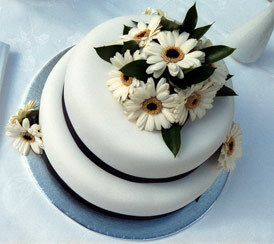 To enhance stress free planning we have designed two Distinction Wedding Reception packages – Signature or Opulence. Two distinct packages and menus to choose from, according to your budget and food preference for weddings for 40 guests or more. Distinction Te Anau Hotel and Villas also have wedding menus available for couples to select from, for more intimate wedding gatherings or for those who wish to design their own package. Couples can make a selection from our individually priced menus, or if you have individual requirements, as we understand that one size does not fit all, we are very happy to design a package/menu to suit. We offer a comprehensive range of beverages to suit your wedding, including wine choices to suit all palates that will compliment the menus superbly. This selection is under constant scrutiny to ensure the best quality and value can be offered to you and your guests on your special day. Beverages can be purchased on the day, or you can choose to run a tab and set your own limits. If you prefer, we can charge selected beverages on a per consumption basis. Speak with your Event’s Coordinator to arrange a beverage package to suit you.